kratlusk: Zackenberg - among "100 places to remember before they disappear"
Zackenberg - among "100 places to remember before they disappear"
During easter my parents were given the book "100 places to remember before they disappear". As place number 17 is listed Zackenberg in Northeast Greenland - the place I work for more than three months a year and consider my second home. I noticed this already in 2009 when the book came out. 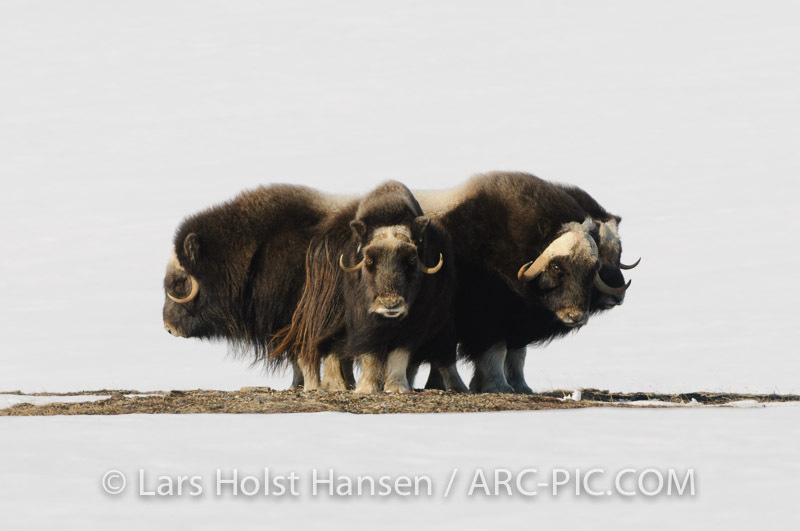 It is illustrated by a photo (#4 at the URL linked to above) by the renowned and prize winning Canadian nature photographer Paul Nicklen. I was quite surprised as Paul Nicklen to my knowledge never had visited Zackenberg. Not during the summer months at least as we keep good records on that. I know he has been to Sand Island (Sandøen) photographing walrus about 30km from Zackenberg and I saw him briefly in the airport at Constable Point. The lighting is not that great and it is a bit fuzzy (but so is Nicklen's - I was using the 70-200/2.8 with the TC-17EII a combination I cannot recommend). 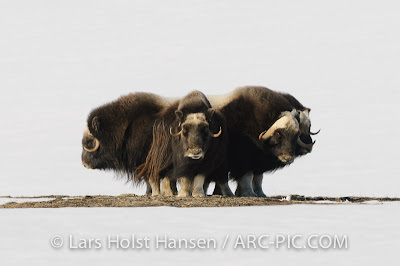 I have taken hundreds of photos of musk oxen since but have not had them in this exact same defensive formation again. Perhaps I will get a chance this season where I am supposed to spend 3.5 month amongst them and we will actually try to catch 14 to provide them with GPS collars.